From 23 to 28 November, we visited the Danum Valley Conservation Area in Sabah, Malaysia to observe the wild orangutans and other animals or plants. 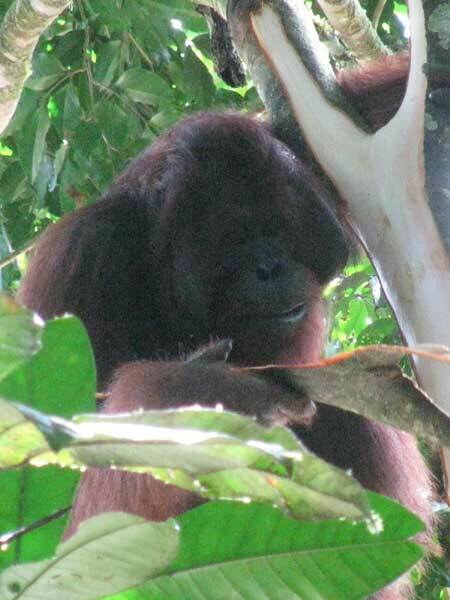 Thanks to Noko Kuze in wildlife research center and Ray bould, the guide of the Borneo Rainforest Lodge, we could observe seven orangutans: KHAI, SUMI, YAMATO, KIMI,UNA, ABU and one we couldn't identify. We observed their feeding, nesting, moving and social interactions. Orangutans behave solo, so it is very impressive to see KHAI touching a binturong. Though we couldn't see it directly, in the Mrs. Kuze's video we also see the orangutan's rare interaction:YAMATO helping KIMI, her brother, moving for one branch to another. 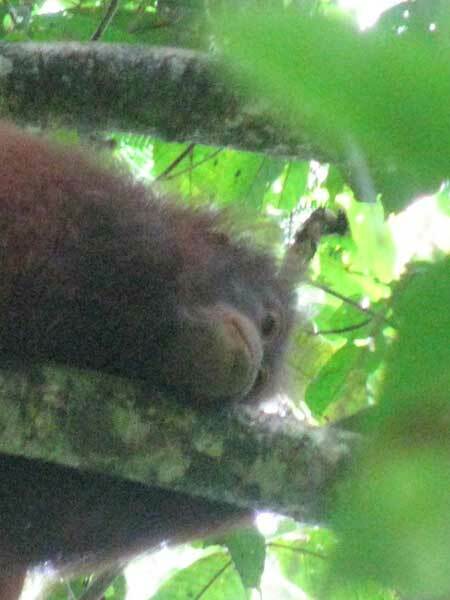 Observing ABU, we could learn in detail how orangutans make their nest.